The drum set is a part of the standard rhythm section used in many music styles. The most usual type includes a bass drum, a floor tom, two tom-tom drums, also one or two ride cymbal, and a hi-hat. 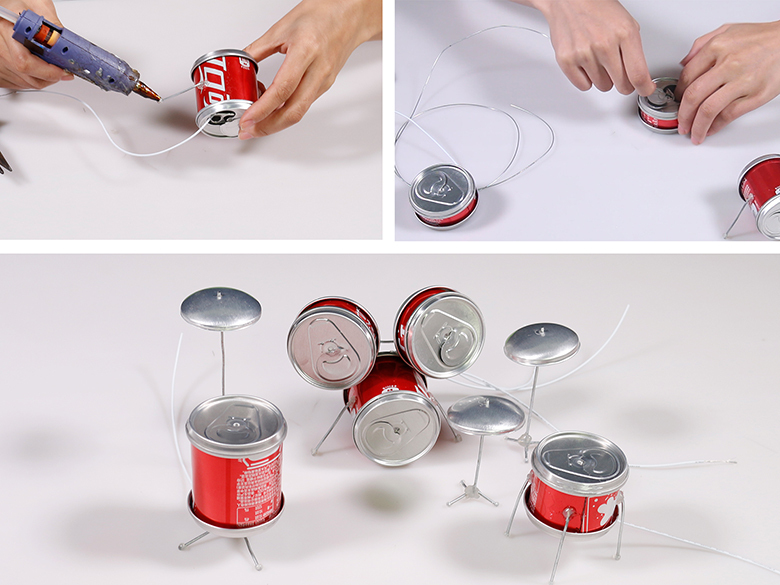 With some useless beverage cans at hand, let’s make mini drum set. Some body part still remain on the tops, so cut with the small scissors and tear them off. 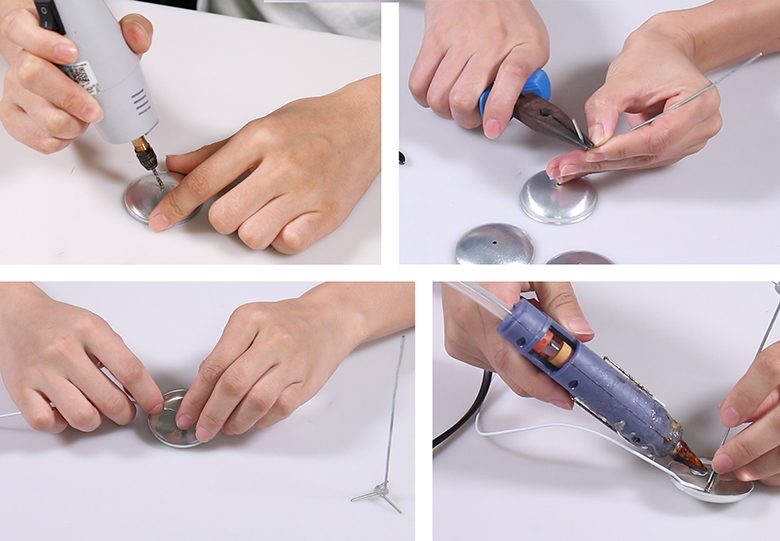 Note: when you tear the remaining parts, use a cloth to protect your hand from getting hurt by the sharp edge. Keep the can body parts for next step. 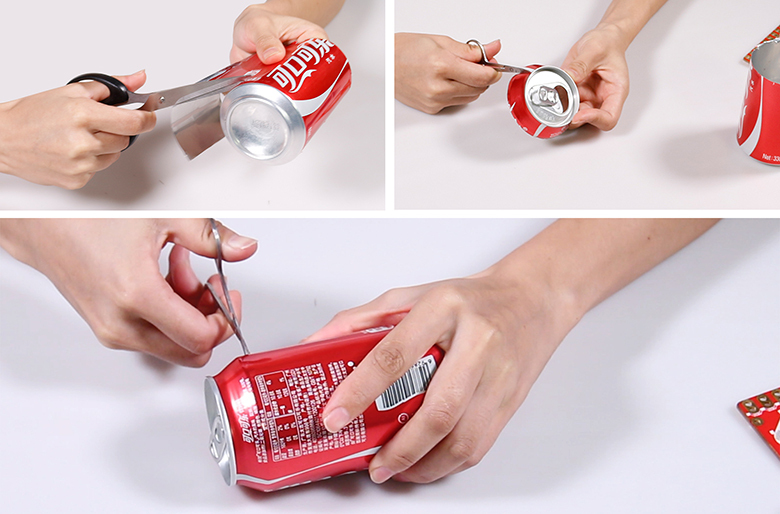 Cut five unbroken can body parts to get five in different width. 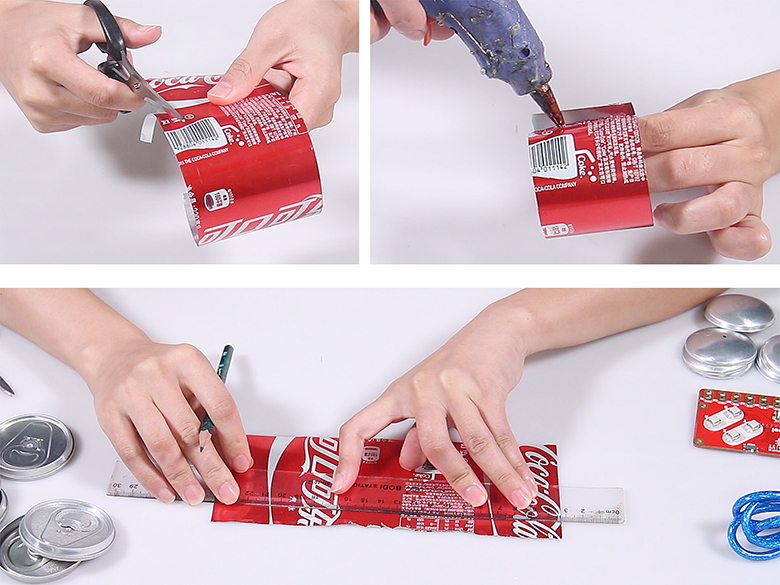 Roll them and align with the pop-tops, then paste with glue gun to get five cylinders. 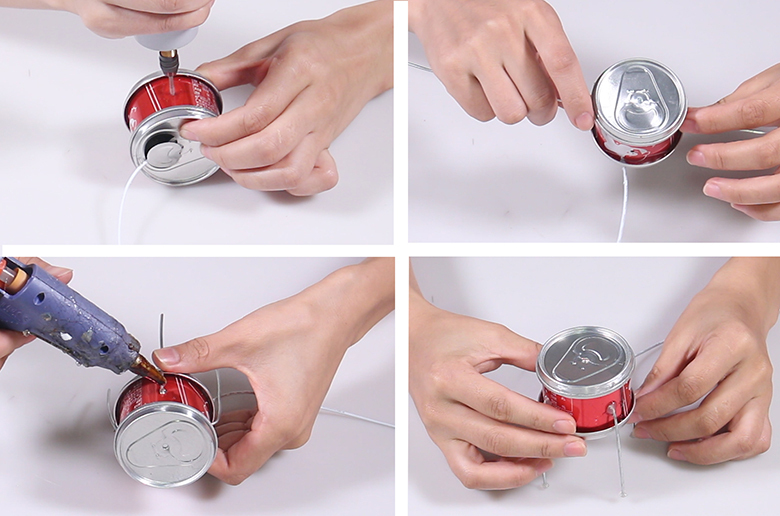 Two can pop-tops and one can body will make a drum, combine them together with glue gun. 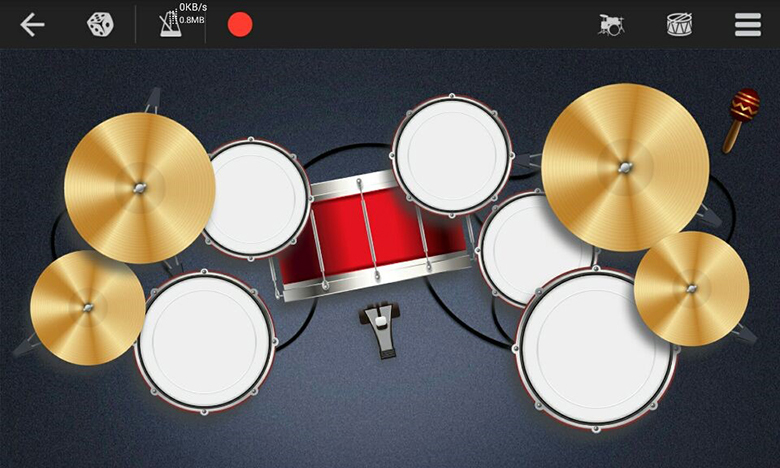 Make five drums in different size in this way. 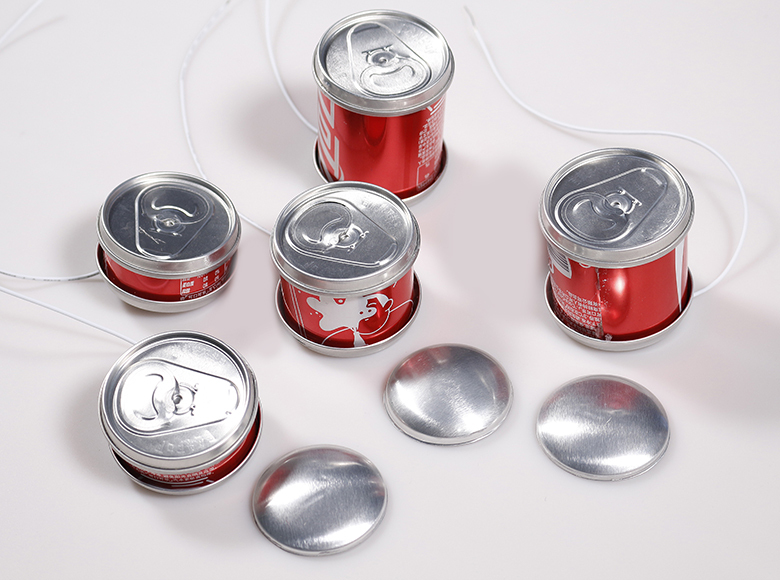 Note: To conduct the drums in later parts, you should connect a wire to each drum’s pop top by wrapping the lead on the pop tab, and fasten with glue gun. The can bottoms can be used as cymbals. 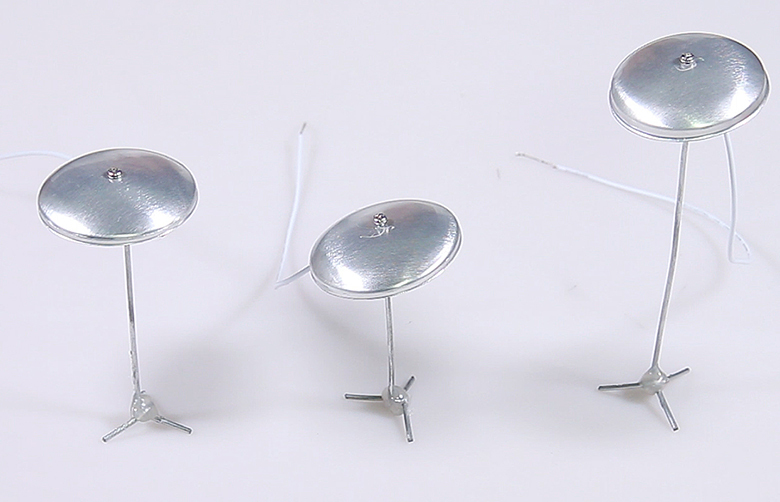 Pierce through the bottom center with a pointed tool, and cross the hole with a proper nail, connect a wire to the nail by wrapping the lead on it, and fasten it to the stand with glue gun. Now a cymbal is done. Here we should make three in total. Combine the Bass Drum and two Tom-Tom Drums with iron wire and glue gun. Prick on drum to get four holes, and cross with iron wire, and shape the wire to stand with the pliers. Then fasten the stand by glue gun. Make a triangle stands for the floor tom. 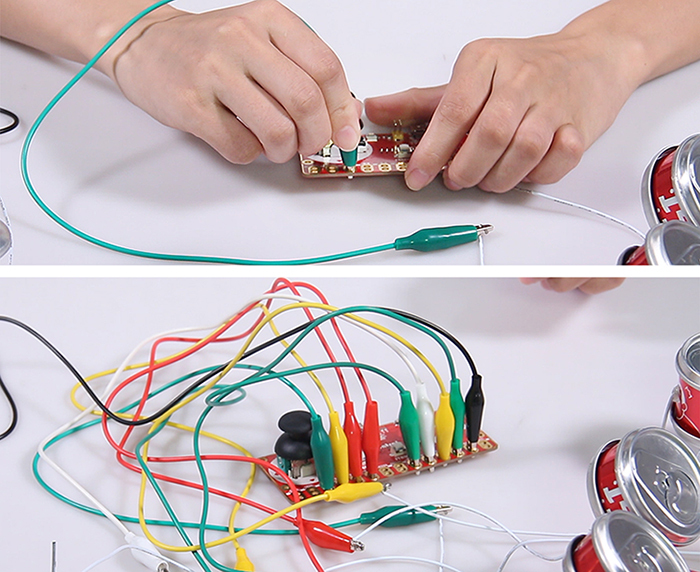 Then connect the drums and cymbals to Multi-Control with alligator clip cables. 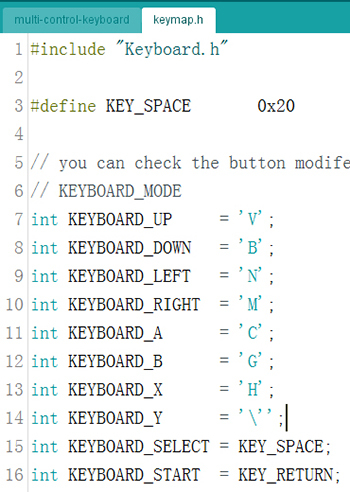 Download a Drum Set MIDI software on your computer, and test by tapping the drum or cymbal to see which key it is corresponding to. 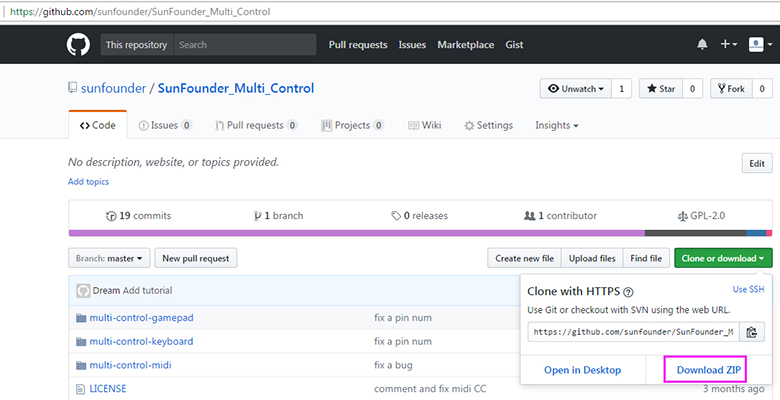 After modifying, select the right board (Leonardo) and port, then click Upload. 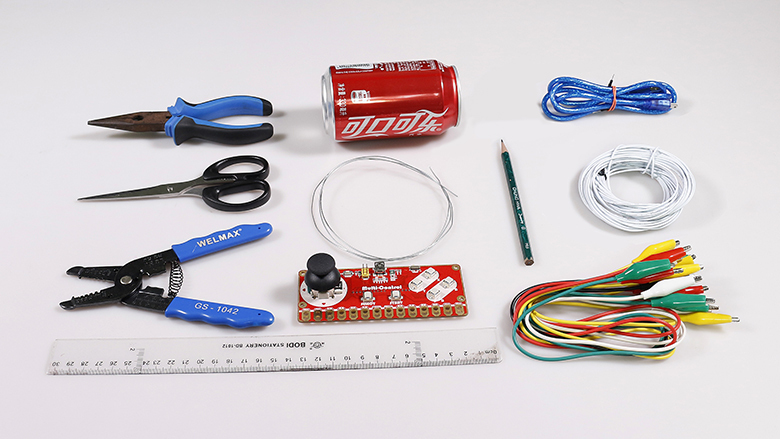 Now, let’s play the mini cute drum sets!